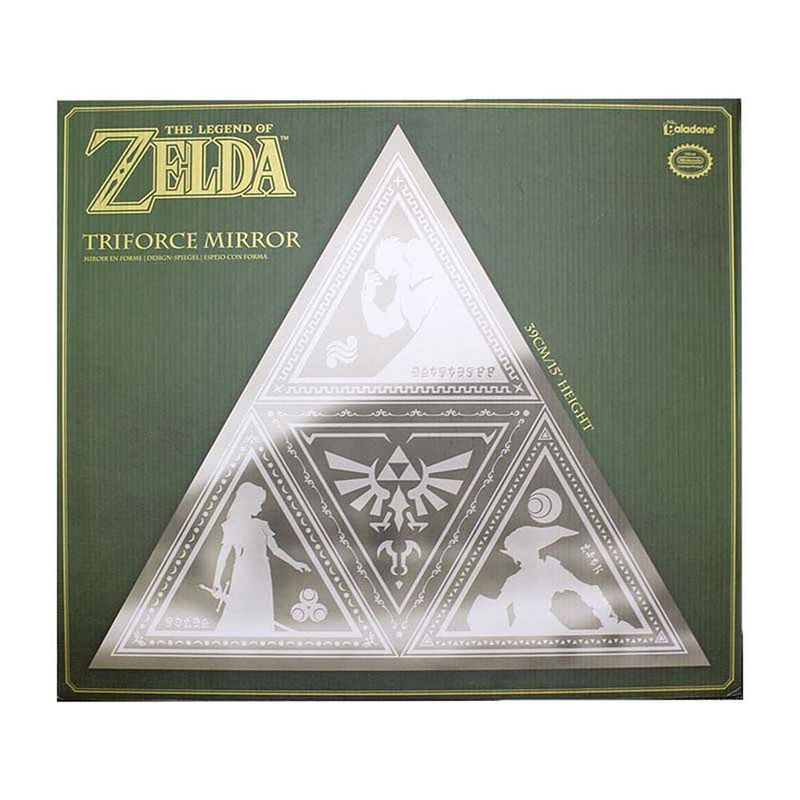 Take time to reflect on past adventures with this stylish Triforce Mirror featuring iconic artwork from the classic Legend of Zelda game Ocarina of Time. 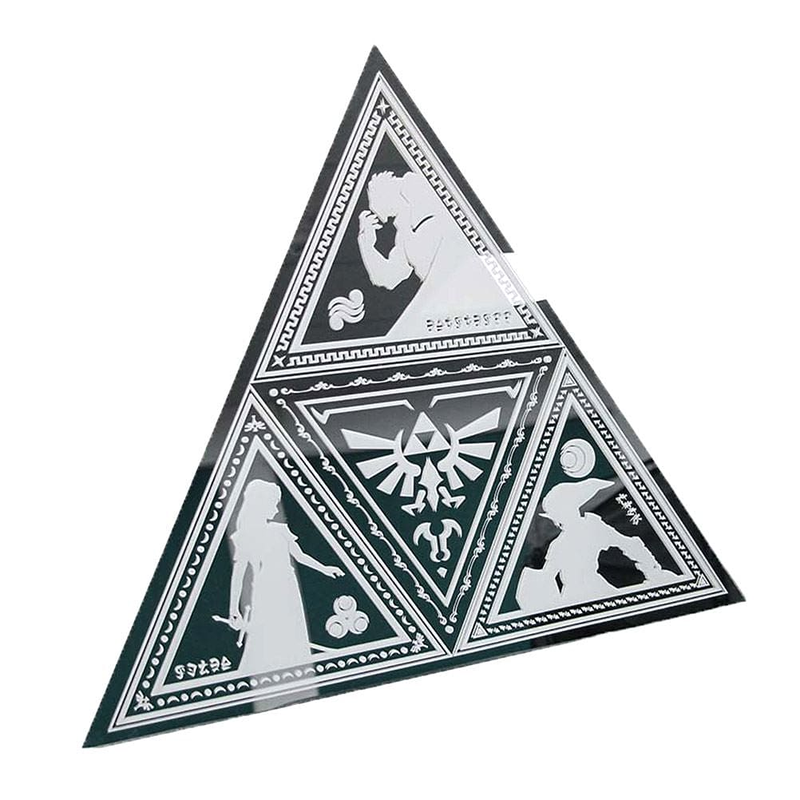 Shaped like the legendary Triforce, this 42cm (approx. 16.5in) mirror comes with hanging fixtures making it suitable to be hung at home. Featuring the Hyrule crest, as well as the silhouettes of the three main characters from the critically acclaimed game, this is the perfect piece of fan memorabilia, and a great gift for any gamer looking to finish off their room in style.